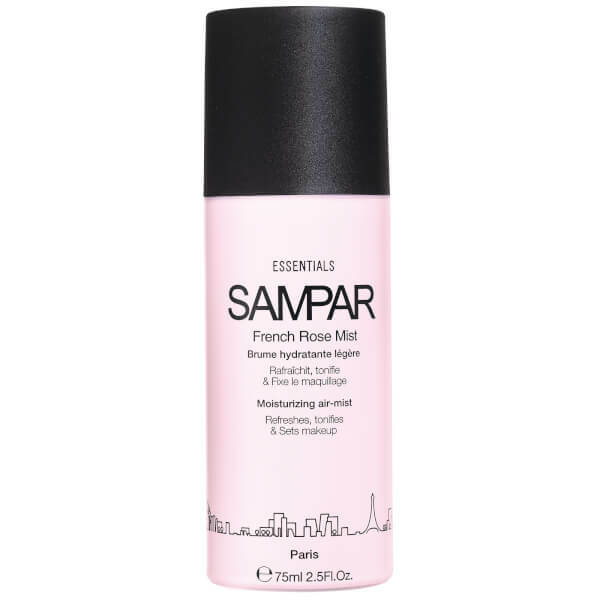 Rejuvenate your complexion with SAMPAR's French Rose Mist; a weightless, skin-quenching formula that absorbs quickly to refresh, soothe and replenish thirsty skin. Harnessing the powers of Orange Blossom Water and Geranium Essential Oil, the micro-fine mist can be applied throughout the day for essential moisture and hydration, or used over make-up to prolong and enhance wear. The brand's unique Urban Advance Complex of Shea Butter Serum, Mint Endorphin and Probiotic Sugar provides antioxidant properties; it creates a protective barrier to defend against free radical damage and environmental aggressors. Expect a smooth, supple and revitalised complexion with a delicate Rose fragrance. Mist the face and/or the body in the morning/at night or at any time of the day for a refreshing sensation. 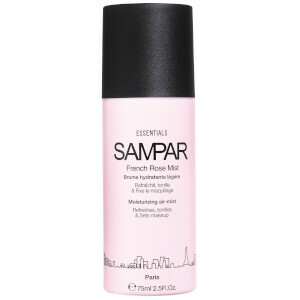 Use at the end of your make-up routine to set in place. Aqua (Water), Polysorbate 20, Propylene Glycol, Centaurea Cyanus (Cornflower) Flower Water, Phenoxyethanol, Chlorphenesin, Citrus Aurantium Amara (Bitter Orange) Flower Water, Tilia Cordata Flower Extract, Disodium EDTA, Butylene Glycol, Linalool, Limonene, Pelargonium Graveolens (Geranium) Oil, Glycerin, Lactitol, Xylitol, Butyrospermum Parkii (Shea Butter) Seedcake Extract, Geraniol Pentylene Glycol, Mentha Piperita (Peppermint) Extract, Sodium Benzoate, Potassium Sorbate, Citric Acid, Parfum (Fragrance), Centaurea Cyanus (Cornflower) Flower Extract.